Plot Loosely based on a true series of World War II events. 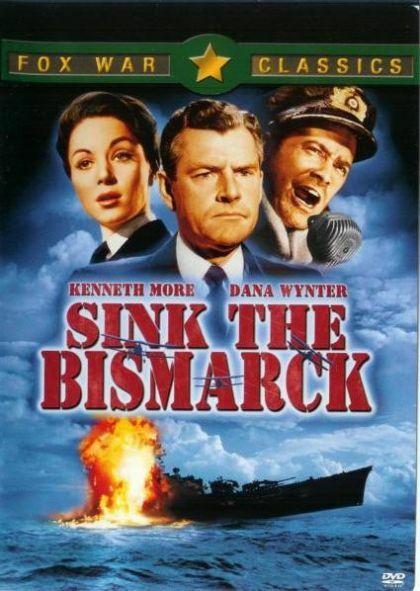 This movie chronicles the breakout of the German battleship Bismarck accompanied by the heavy cruiser Prinz Eugen during the early days of World War II. The Bismarck and her sister ship, Tirpitz, were the most powerful battleships in the European theater of World War II. The British Navy must find and destroy Bismarck before it can escape into the convoy lanes to inflict severe damage on the cargo shipping which was the lifeblood of the British Isles. With eight 15 inch guns, It was capable of destroying every ship in a convoy while remaining beyond the range of all Royal Navy warships. The movie presents the point of view of the commanders and combatants of the naval forces, mostly ships, on both sides as well as a perspective on the role of the British Admiralty in London which is the central command and control headquarters for the Royal Navy.